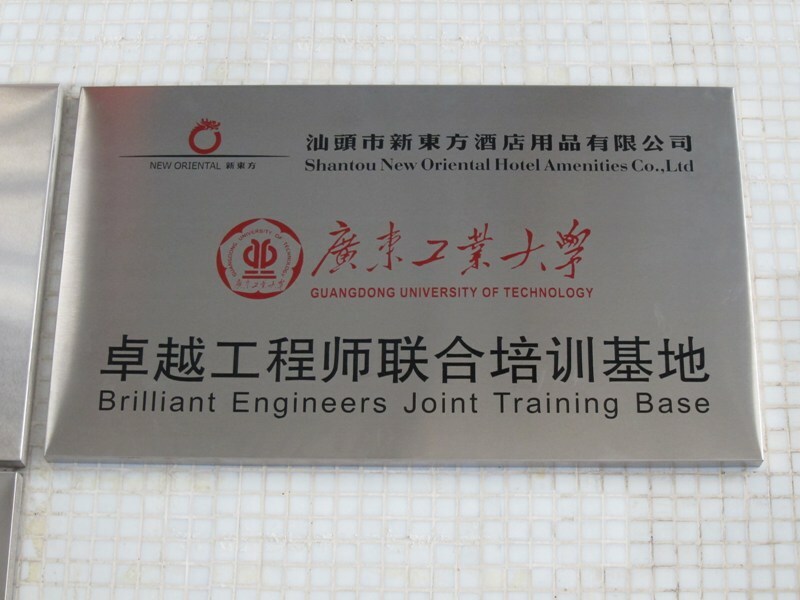 To explore new merchanism of enterprise-college cooperation in talent joint cultivation programe and construct two-way cooperative mode, Shantou Neworiental Company has signed the agreement with Guangdong University of Technology for Bachelor’s talent cultivation project. 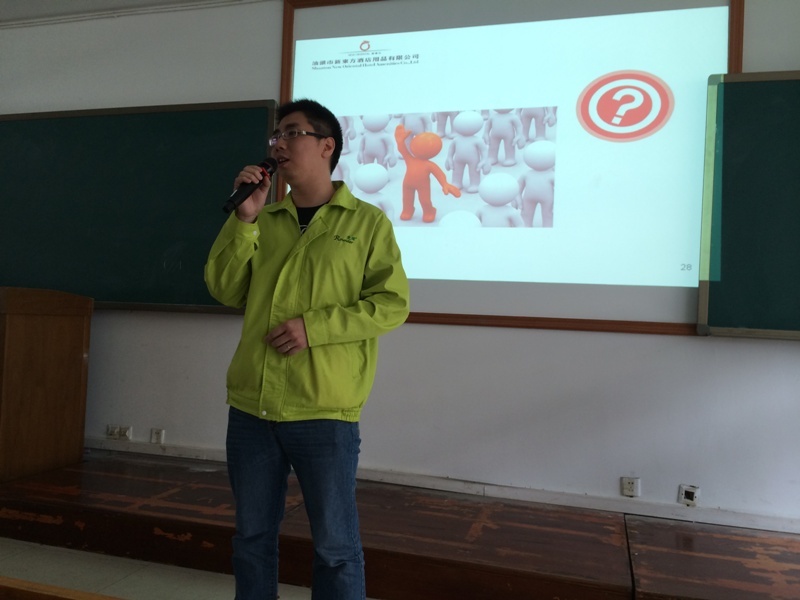 Our company arranged a campus recruitment talk in Guangdong University of Technology, which is given by our collegue: Mr Xie(Vice general manager) and Mr Chen(Human resource supervisor) on May. 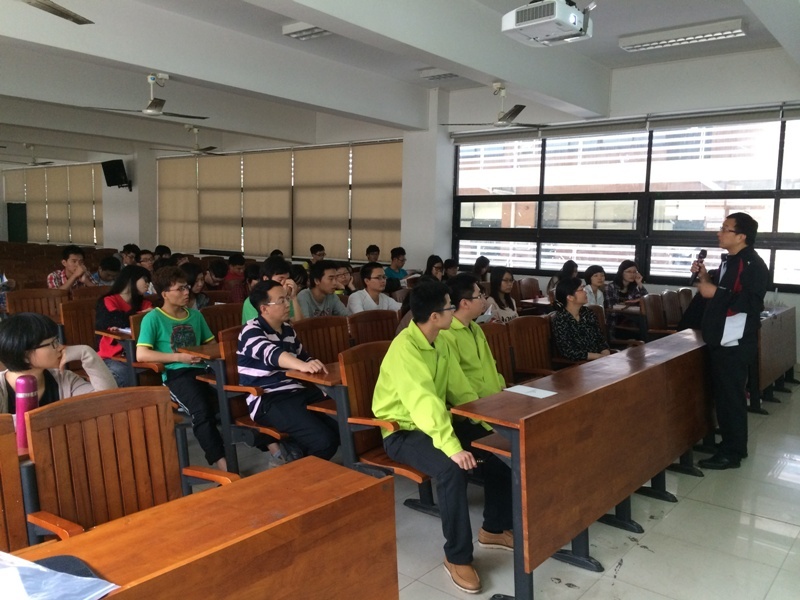 In the meeting, the students are positive to raise their questions towards the job position with stronge interest. 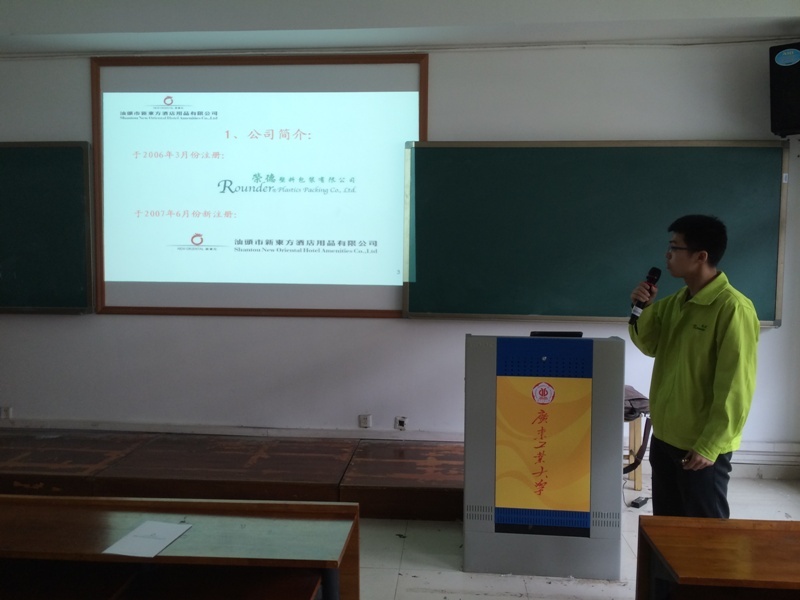 Through hard selection, finally 6 of excellent students from Chemical Collegue were selected to be 1st Trial Cooperation members. We hope that this cooperation could make our cultivation cooperation to be more stronger and closer, and reach tripartite win. This cooperation is innovative in our company’s development history and will have more impact for our company’further development .